It’s surprising how many people don’t think about getting a pre-purchase building inspection or even consider forsake one for the sake of saving a few hundred dollars. Others believe skimping on a building report will speed up the buying process, but as you’ll see below, an inspection is essential for a number of key reasons. A structurally sound building is a must when you’re making a purchase because of safety issues and cost concerns. Structural weaknesses can cause collapses that may injure a person, but there’s also the possibility that the structural issue will be nearly impossible to repair without major construction. Buildings must also conform to the New Zealand Building Regulations. If you purchase a home or commercial building that does not conform to these standards, you will be responsible for the cost of bringing the building up to code. Getting a pre-purchase building inspection done can help you avoid purchasing a building with major structural issues – saving you major financial and emotional despair. You may feel it’s worthwhile to purchase a building that needs some repairs because it is available for a lower price, but going into the sale without an inspection could mean big costs for hidden repair issues. 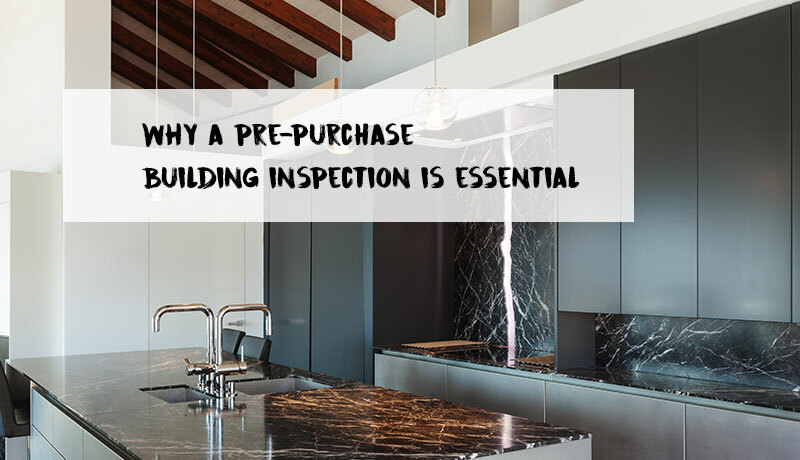 If you choose for a pre-purchase building inspection, you know exactly what needs to be done to bring the building up to where you’d like it to be. Faulty electrical wiring can make for a dangerous situation that could increase the risk of electrocution or fire. Not having enough smoke alarms installed increases the chances of injury or death in the event of a fire, so invest in a building inspection to avoid serious injury related to electrical wiring issues or fire. If you’re buying a home for your family, you want to be sure the home is safe and ready for you to live in. A pre-purchase building inspection will expose any areas of the home that may be suspected unsafe, in particular, the presence of asbestos and other dangerous materials, missing or loose handrail and cracks in walls. Discovering such hazards gives you the opportunity to decide if you are willing to take on the cost of making the home safe. The building itself is not the only part of a property that may need the keen eye of a building inspector. Did you know structures such as sheds and patios also have to be examined? Local council regulations (and they vary from region to region) often dictate where these structures can be built, and purchasing a building that does not conform with these regulations can indicate tearing down a building which may have been one of the reasons you decided to purchase the property in the first place. Opting out of a pre purchase building inspection may seem tempting on the surface when you think you can save a few hundred dollars, but making sure the building you are purchasing is safe, requires no expensive repairs and conforms with council regulations is absolutely essential. Inspecting could stop you making the biggest financial mistake of your life – it’s a very small price to pay.